I continue my series of Emmy predictions by looking at the contenders for Best Casting. I don’t have a whole lot of insight into these categories, but that still doesn’t prevent me from making predictions. I gathered a list of people from eligible Animated Programs, narrators from other scripted shows and non-fiction programs. This isn’t a complete list and some of these people could have even been left off the eligibility list. Here’s the list I gathered of potential nominees in Best Voice-Over Performances. *Tom Bergeron is safe, even if I don’t think DWTS is going to get a Series nomination. I’m also comfortable predicting Carson Daly. With the success of The Voice this year and a possible upset in the main category, I would be surprised if that love didn’t carry over to a nomination for Carson Daly. *One thing you can always depend on in this category is The Kennedy Center Honors. It gets nominated every year and has picked up the trophy the previous four years. It’s very likely to repeat again. The Emmys love nomination stand-up comedy specials (just not awarding them a win), so Emmy favorites Kathy Griffin & Louis C.K. are very likely to pick up nominations. Paul McCartney is a beloved icon and his special looks similar to the one they nominated Tony Bennett for last year. I’m guessing that 12-12-12 takes the final spot. It was a long telethon that aired to benefit the victims of Hurricane Sandy. 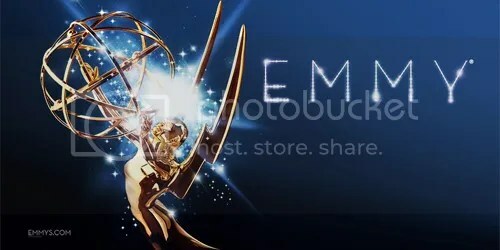 It was one of the most talked about events of the year and the mammoth production will get some Emmy love. Louis C.K. : Oh My God – Louis C.K. *This category is always tough to predict. The Simpsons has never missed out on a nomination in this category. The only two years it wasn’t nominated was 1993 & 1994 and that’s because it submitted into Best Comedy Series instead. Speaking of that, Family Guy has only submitted in Best Comedy Series in the past few years but it’s finally back in Animated Program. I think it’ll make it back in because of that. 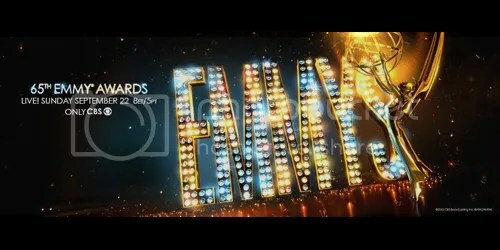 Futurama is an Emmy favorite but I think its nomination could be in jeopardy because they submitted a subpar episode. They should’ve went with “Near-Death Wish” instead and possibly picked up another win. American Dad has received two nominations previously and apparently the episode they submitted was one of the series’ best ones. And Robot Chicken has been nominated in the past for some of their other special episodes and I can see it happening again. The Weight of the Nation for Kids: Quiz Ed!